Ritalin Gone Wrong? What’s a Parent to Believe? I’m postponing the scheduled conclusion of our series on diagnosis until Tuesday to address the commentary from L. Alan Sroufe in the New York Times, Ritalin Gone Wrong. We don’t have long-term controlled studies demonstrating continued effectiveness of stimulant medication for ADHD over many years. This is true. But the absence of long-term studies demonstrating that short-term benefits of ADHD medication are maintained doesn’t mean that long-term benefits don’t exist for many patients. The methodology involved in conducting such studies is extremely challenging and extremely expensive. You can’t keep kids in a randomized study for years on end because families want to be able to choose alternative treatments if their child isn’t making as much progress as is desired. Parents divorce, families move, kids are lost to follow-up. Problems with attention, self-regulation and behavior can be caused by factors present prior to, during and after birth. In my mind, there’s no doubt that trauma, chaotic stress and early experience contribute to the development of symptoms that can be characterized as ADHD. I worked for a number of years in a large, inner-city children’s mental health clinic. I can personally attest that kids exposed to trauma in homes I referred to as “psychosocial train wrecks” experienced a quantitatively and qualitatively different response to ADHD medication than kids from my suburban private practice. There will never be a single solution for all kids with learning or behavioral problems. More complex solutions than medication are necessary for most kids we see. Kids need loving parents who provide consistent discipline and safe, supportive living environments. They need schools flexible enough to address their unique learning styles and needs. They need positive role models and relationships outside their extended families. Unfortunately, doctors can’t fix all of that and are left to address what we can. Unless your kid is entering the NBA draft, I’m hard-pressed to see how a difference in their ultimate stature of a half-inch can be construed as a “serious” side effect. We don’t have to do blood tests for kids on ADHD medication, nor do we have to check EKG tests. The first randomized study of stimulant medication for what we now know refer to as ADHD was published 79 years ago. Given that 9.5% of the school-age population in the U.S. has received at least one prescription for ADHD medication (predominantly stimulants) and millions have taken medication for years, it’s rather hard to believe there are serious side effects that we wouldn’t yet be aware of. “The effects of stimulants on children with attention problems fade after prolonged use.” There’s simply no evidence to support Dr. Sroufe’s claim. The study that Dr. Sroufe references throughout his opinion piece is the MTA study. Here’s a summary of the study design and results of the MTA from the National Institute of Mental Health (funders of the study) and a link to the paper examining eight year follow-up data of kids enrolled in the study. Across time, 17.2% (70/406) of the children were medicated at every assessment beginning with 14-month reports, 20.4% (83/406) were not medicated at any of these assessments, and 62.3% (253/406) were medicated at least once but not every time. Of the total pool of children medicated at 14 months (n = 257), 61.5% (158) had stopped medication some time after 14 months and were not medicated at the 8-year follow-up. Psychostimulants improve ADHD symptoms for up to 5 years, but adverse effects persist. They apparently develop a tolerance to the drug, and thus its efficacy “disappears.” There is no evidence that large numbers of kids develop tolerance to the effects of stimulants. I’ve seen a few older kids who had been misusing stimulants by dosing their medication in such a manner as to achieve around the clock effects develop tolerance to the beneficial effects. It’s also possible that some individuals on long-acting stimulants may develop some transient reduction in benefit from accumulating the drug in their system. Most patients who notice such an effect also notice the return of a robust response to medication if they don’t take their medication for a day or two. Average total daily dose of those taking stimulants at both assessments was 43.36 mg (SD 24.33) at 8 years and 30.68 mg (SD 13.94) at 14 months. Thus, stimulant medication at 8 years more often reflected continued treatment, with increased dosage, rather than newly initiated medication. Kids occasionally need increases in medication dose as they get older, but in my experience, the changes occur because of increases in demands for academic productivity in middle school and high school and not from any loss of effectiveness of medication. You can’t compare the results of the MTA to short-term, randomized, controlled studies of stimulants because the MTA wasn’t a randomized study with kids receiving comparable treatments under comparable conditions. In fact, by definition, the kids in the MTA study all received “routine community care,” the least effective treatment in the randomized phase of the study. The study demonstrates that kids didn’t do as well when the frequency and intensity of their treatment decreased, regardless of whether the treatment was medication alone, intensive behavioral treatment alone, or a combination of both. The smarter you are, the more stable your family is, and the less severe your symptoms of ADHD are when initially diagnosed predict how well you might do in the long run as opposed to your medication status. The problem with many of the short-term stimulant studies is that they don’t take into account other concomitant conditions frequently experienced by kids with ADHD. Stimulants may exacerbate obsessive thinking, compulsive behavior and social anxiety. Many kids develop patterns of interaction around their verbal impulsivity and don’t like the feeling of being less impulsive. I hear comments daily from kids with ADHD who stopped taking medication because “I didn’t feel like myself” or “My friends said I was too serious.” Many kids stop taking medication because of negative effects on appetite and sleep. Kids with ADHD continue to struggle relative to their peers without ADHD over time. They need lots of ongoing help and support. They need access to cognitive therapy and behavioral therapy from competent and effective clinicians. They need schools with the flexibility to provide accommodations to help all kids maximize their potential. They need stable environments and supportive families. They don’t need stories in the news media unnecessarily fueling the fears of parents about the safety or effectiveness of medication they give to their kids struggling with a significant disability. You can’t use a study that wasn’t designed to demonstrate the long-term effectiveness of stimulant medication to claim that such medication is ineffective. 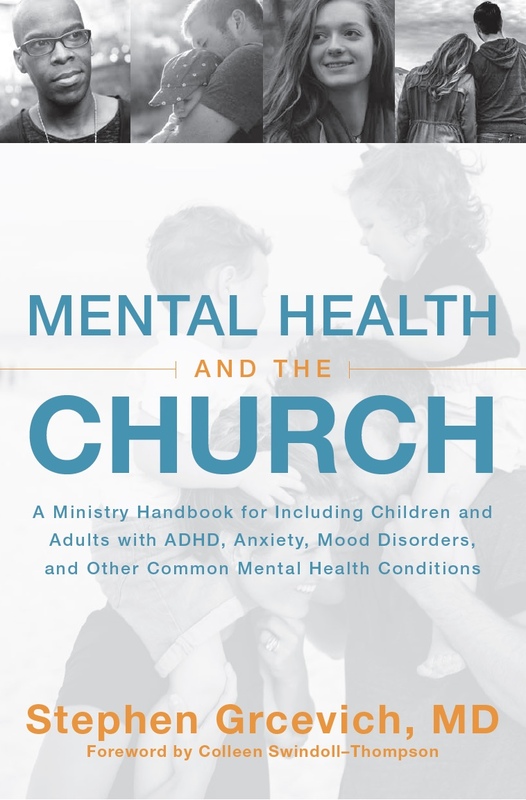 Click here for the Key Ministry resource page on ADHD and Spiritual Development. Disclosures: I’ve done no promotional speaking for pharmaceutical companies in the last ten years. 100% of honoraria for industry consulting in 2008 and 2009 were contributed to Key Ministry. In 2015, I served as a consultant for Ironshore Pharmaceuticals and have agreed to serve as a consultant for Shire U.S. All research funding since 2007 has been from the National Institute of Mental Health through our practice’s participation in the CAPTN (Child and Adolescent Psychiatry Trials Network) Network, in partnership with Duke University. 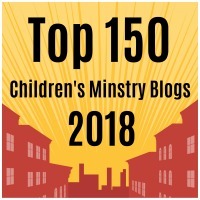 This entry was posted in ADHD, Controversies and tagged ADHD, L. Alan Sroufe, medication in kids, MTA Study, New York Times, Ritalin, Ritalin Gone Wrong, stimulants. Bookmark the permalink. 3 Responses to Ritalin Gone Wrong? What’s a Parent to Believe? Outstanding. Any objections to me shopping this around to some folks at the indepedent schools? Feel free to share with anyone you’d like!